Spring has officially sprung. The days are getting longer, the nights are getting warmer and baseball season is finally underway after a historically brutal winter. For fans of America’s Pastime, it’s a glorious time of year as the Detroit Tigers — and baseball’s 29 other, lesser teams — take the field. 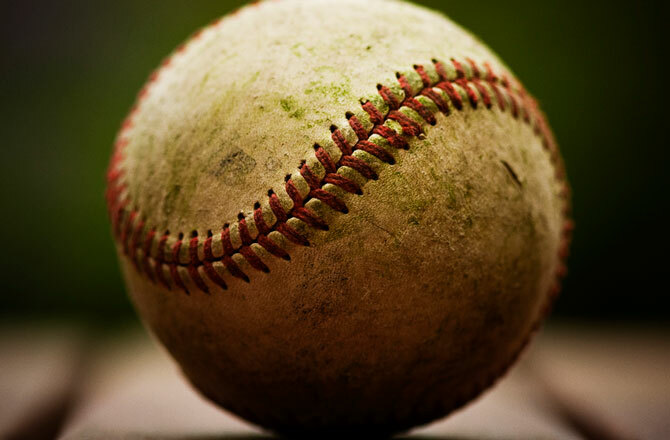 A look at the odd origin stories behind nine famous baseball traditions, at Discovery News. Tim’s Vermeer: Paint By Numbers? Can fine art be replicated by innovative technology? That’s the question at the heart of Tim’s Vermeer, the fun and fascinating documentary from the creative team of Penn and Teller. The film — directed by Teller, narrated by Penn — documents one man’s quest to essentially reverse engineer a painting by 17th century Dutch master Johannes Vermeer. Historians have been baffled, for a few centuries running now, at how Vermeer managed to create the images he did. Vermeer’s paintings are so precise in color and detail that they look like impossible 400-year-old photographs. What Vermeer accomplished, in his time, was magic. There had to be a trick to it, right? Entrepreneur and inventor Tim Jenison believes he has uncovered that trick, and the film chronicles his five-year quest to prove it. Jenison’ hypothesis: Vermeer achieved his effects by way of a giant camera obscura — an optical device that projects a reflected image on a wall — along with a system of concave mirrors that allowed the artist to “zoom in” and match color and detail with startling precision. But theory is one thing, evidence is another, and Jenison is a scientist at heart. So he sets out to recreate the exact conditions of Vermeer’s studio, using 17th century math, materials and technology. What Jenison achieves must be seen to be believed. It’s no spoiler to disclose that the non-artist Jenison does indeed replicate that Vermeer painting, astonishing experts like art star David Hockney and historian Philip Steadman. Penn and Teller are the perfect guys to bring us this story, because it’s basically a fine art riff on an observation they’ve been making for years. Selectively revealing the “secrets” of stage magic — or in this case, 17th century Dutch art — doesn’t diminish the magic at all. In P&T’s humanist, rationalist, occasionally righteous worldview, Vermeer the brilliant technician is a thousand times more awe-inspiring than Vermeer the divinely-inspired savant. 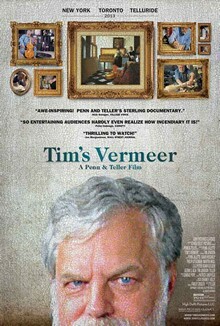 As a filmmaker, Teller isn’t much of a stylist and Tim’s Vermeer gets awfully slow in spots. There are moments when we’re literally watching paint dry. But if you’re at all prone the pop scholarship of earnest inquiry and notional noodling, prepare to geek directly out.